Foods high in lean proteins, such as meat, fish (fatty ones like the sardine, salmon, herring, trout, etc. are the best), eggs, legumes, beans, nuts, tofu, etc. Plenty of foods that are loaded with omega-3 fatty acids including walnuts, avocados, pumpkin seeds etc. 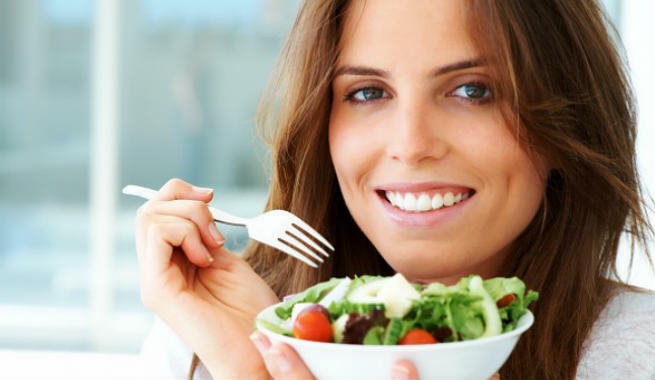 Foods containing high levels of sulfur, such as Brazil nuts, soybeans, lean meats, fish, eggs, sesame seeds, leafy green veggies, etc. Moisturize your eyebrow hairs twice every day – once in the morning and once at night – after washing the face thoroughly. Take 1-2 drops of pure coconut oil onto your fingertips and massage it into your eyebrow to ensure that the hair shafts get enough protein and stay supple yet strong for a longer time. Warm up (1/2) teaspoon of pure castor oil and apply it to your eyebrows by using a Q-tip. Being a natural hair strengthening and regrowing ingredient, it will take care of your brow hairs. Overplucking your eyebrows may lead to permanent loss of hairs in them. Too much tweezing has been found to cause damages to the hair follicles, which prevents the shafts from growing back in a natural way. Hence, stay away from overplucking and learn how to shape eyebrows like a pro. 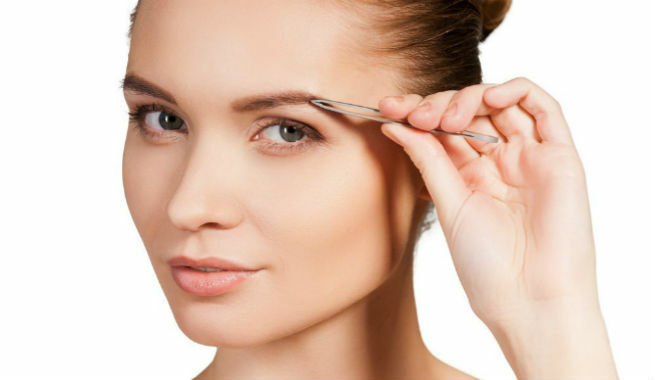 Sometimes using a pair of dirty tweezers for eyebrow shaping causes bacterial infections in our eyebrows. This can be avoided by cleaning the pair of tweezers with alcohol before each use. 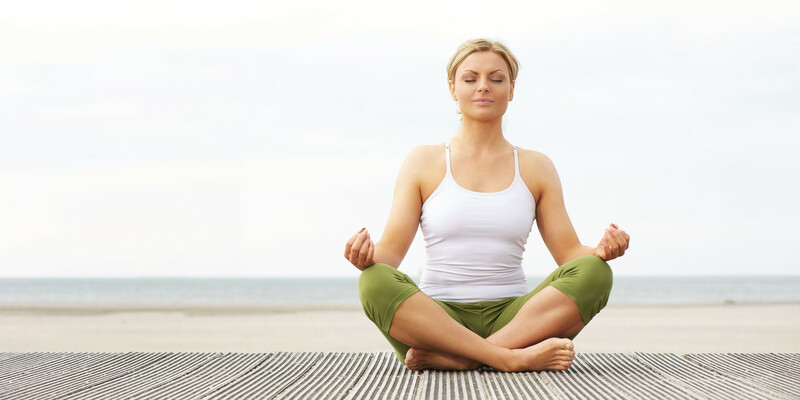 Try to reduce your stress level as much as possible. Be it physical stress or emotional stress, put your efforts in keeping it under control by working out, practicing meditation, or performing yoga every day for at least 20 minutes. 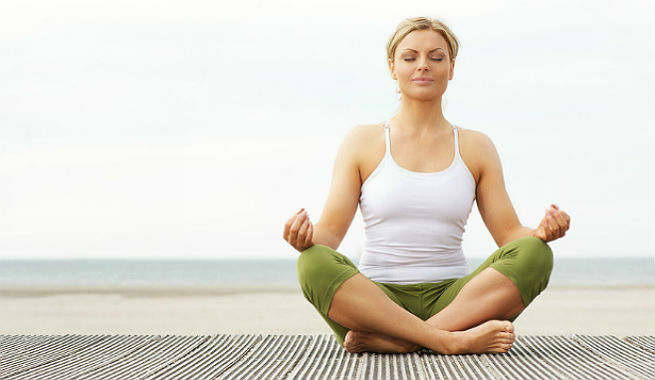 These will help you relieve stress and calm down your mind remarkably. Say ‘NO’ to smoking. When it comes to checking the loss of hair on your eyebrows, avoiding the chemical or tobacco smoke is essential. Try to avoid all sorts of triggers and use patches if necessary. Restrict yourself from using lots and lots of makeup on your eyebrows as you might end up damaging them while beautifying. It is always good to use eyebrow pencils, eyebrow tints, and eyebrow dyes less frequently and without putting too much pressure. Keep a close eye on your hormonal activities. Heavy menstruation, pregnancy, menopause, etc. might cause abnormal hormonal changes in your body leading to eyebrow hair loss. 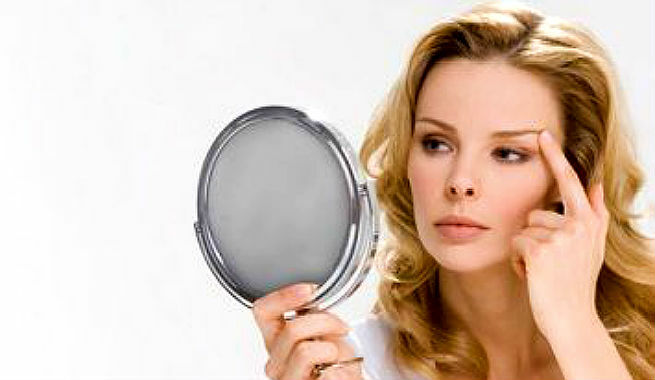 Try to stabilize your blood sugar levels as uncontrolled diabetes often triggers hair loss on eyebrows. If you see a sudden loss of hair on your eyebrows right after starting a new beauty product or medication, stop using that immediately and consult your physician. You may also start taking supplements for preventing your brow hairs from falling out. But make sure that it is prescribed by a professional in order to avoid any adverse side effect.